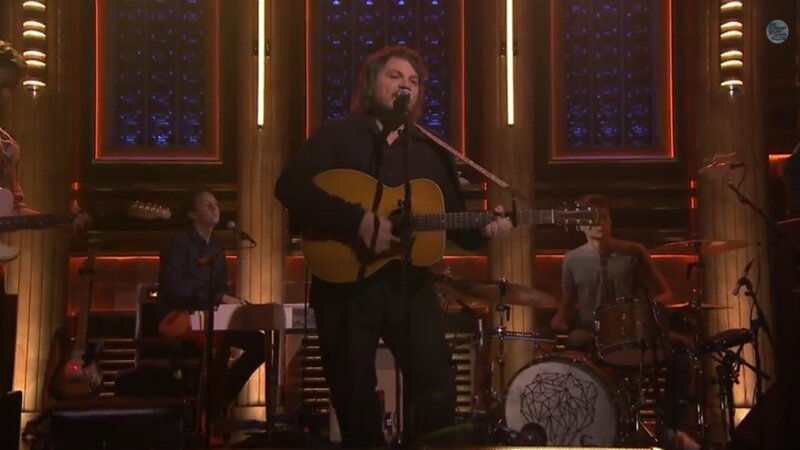 Last night on The Tonight Show, music guest Tweedy performed "Summer Noon" for the audience and "High As Hello" as a web exclusive. Tweedy is the duo of Wilco frontman Jeff Tweedy and his son Spencer on drums, along with guitarist Jim Elkington, bassist Darin Gray, and keyboardist Liam Cunningham. You can watch the performances above. With Jeff Tweedy's relaxed acoustic strumming and storytelling vocals, "Summer Noon" is a peaceful song fitting for the summertime weather. 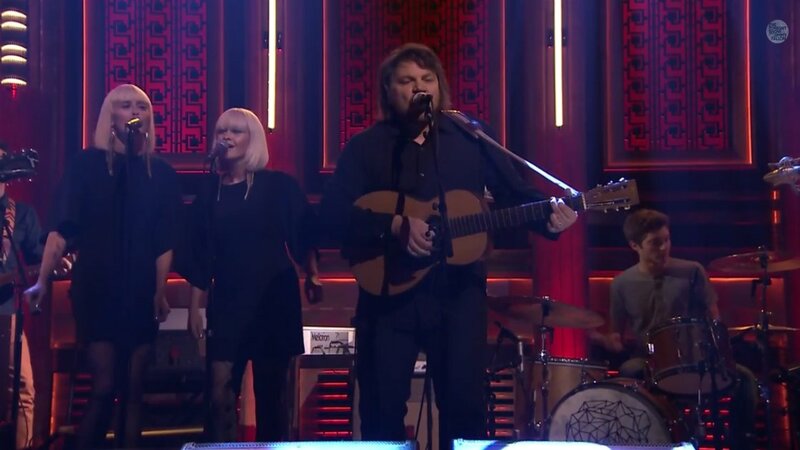 For "High As Hello," Tweedy is backed by two female vocalists, Jess Wolfe and Holly Laessig of the band Lucius, who contribute a nice touch of soft vocals behind Jeff's lyrics. Spencer adds bass heavy drum rolls while the electric guitar of Jim Elkington adds lazy, hypnotic riffs during the song. Tweedy's debut album, Sukierae, is Jeff's first solo material since Wilco's 2011 release The Whole Love. The official video for "Summer Noon" was released earlier this month, and you can watch that right here on Zumic. Sukierae is currently available for pre-order through iTunes and Amazon before its release on September 23. Jeff Tweedy will be performing this Sunday at The Newport Folk Festival. For further music, news, and tour information, check out his Zumic artist page.